Join our playleaders for lots of great activities, crafts, and games throughout the day! And that’s not all… there’ll be facepainting, balloon twisting, and other fun too! From 12 noon to 4 pm, a Mendel program guide will lead fabulous and fun art-making activities for kids ages 4 through 12. Join Meewasin Valley Interpreters to get your face painted and to learn and play some fun Pioneer Games. Mindy Yan Miller is an artist, art educator and recent émigré to Saskatchewan and Caswell Hill. In this workshop participants will be introduced to the proportions of the human head and learn how to mould small heads out of self-hardening clay. All materials and tools will be provided. Workshop times: 1 pm & 2:30 pm. Duration: 1.5 hours. Age: 8 years and up. Maximum 6 participants. 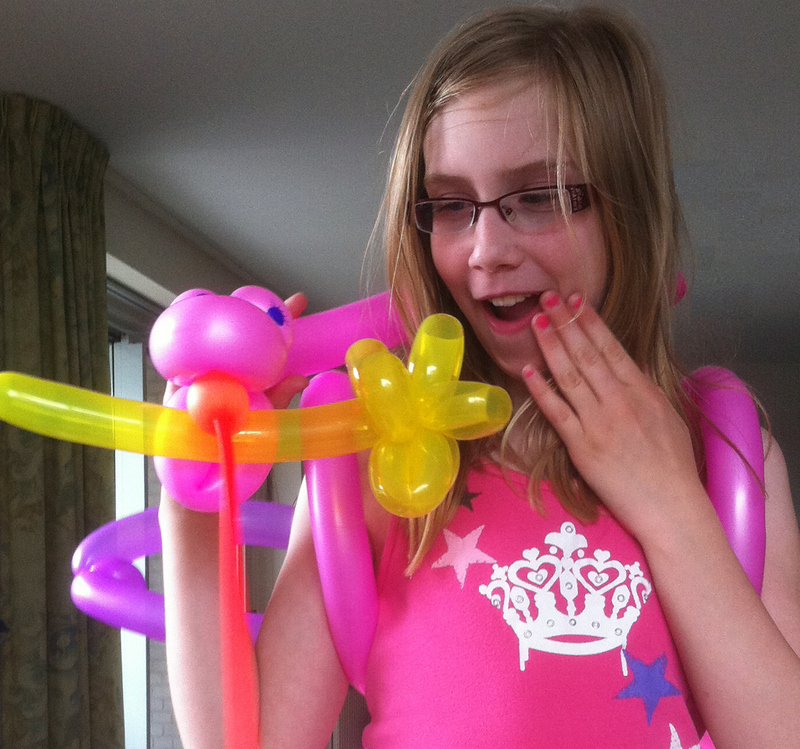 Piper will be spontaneously twisting for balloon fans young and old throughout the afternoon!